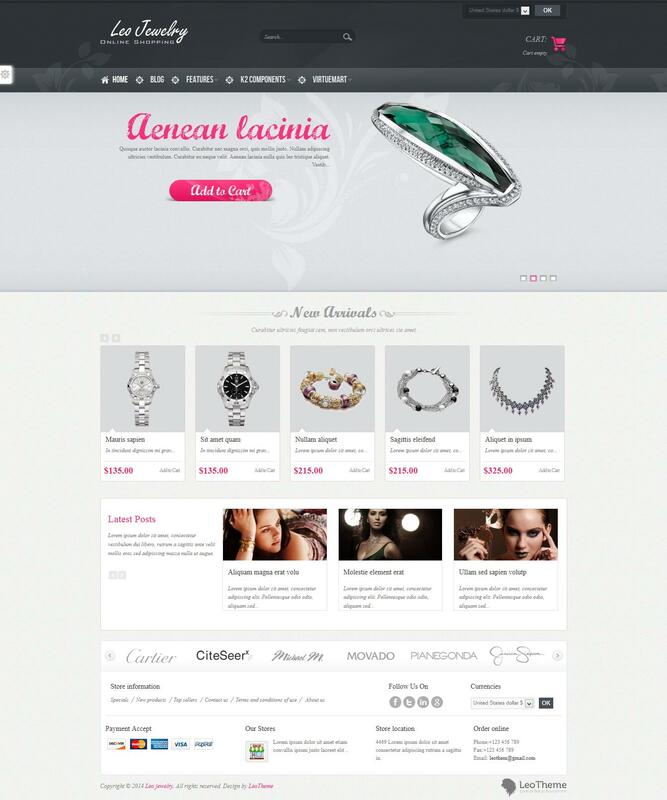 Leo Jewelry - stylish template online store jewelry for Joomla 2.5 from the professional design studio LeoTheme. Elegant and modern design layout contains 4 preset color style with support for adaptive functions. Convenient settings manager template allows you to get full access to the basic parameters of the layout: background images, fonts, color and size, etc. Corporate framework studio Leo Framework, provides quick template, excellent performance and adaptive features that support different mobile platforms. Built-in support of popular content management manager K2 and additional styles to it, is capable of giving the site a special potential and new opportunities in publishing materials on the site. This template is ideal for creating high-quality, stylish and modern online store.